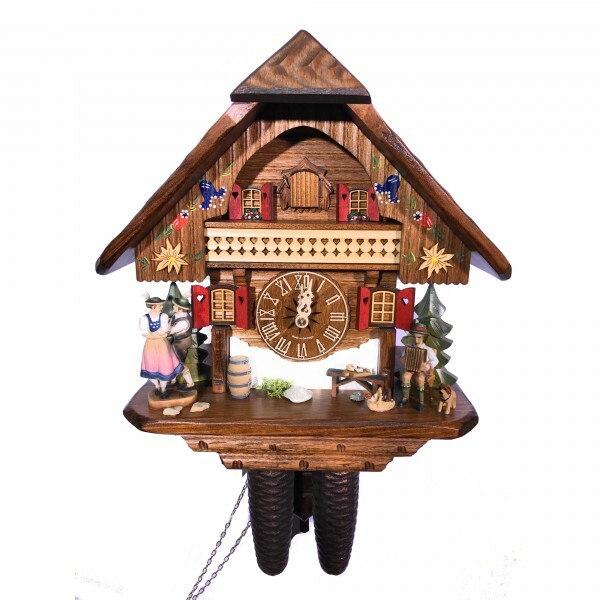 Product information "Dancing couple 8 day cuckoo clock"
Note: This cuckoo clock is specially designed from us and only available here! This is a wonderfully made cuckoo clock. With a 8 day mechanism, which you have to wind up ones a week. The Clock features hand carved wooden figures such as a dancing couple and an accordion player. Related links to "Dancing couple 8 day cuckoo clock"
Customer evaluation for "Dancing couple 8 day cuckoo clock"